This one page document has 4 pre-made notes. They can be edited to create different messages. 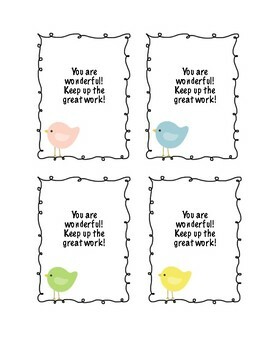 Surprise a student with these cute notes!